Want something new and different? Try Austrian wine this holiday season! The history of viticulture in Austria dates as far back as 700 B.C. The Celts used wine for rituals and for daily consumption, a tradition continued by the conquering Romans and later revitalized after years of neglect by Charlemagne. Austrian viticulture was also influenced by Cistercian monks from Burgundy who came to Austria in the Middle Ages, bringing their grapes and winemaking knowledge. Wine production is concentrated in the eastern regions of Austria, which like Germany is best known for producing white wines. The climate of Austria is comparable to that in Burgundy, France. Warm, sunny summers and long, mild autumn days with cool nights are characteristic for most of these areas. Today, Austrian viticulture has seen a quality boom over the last couple of decades, with internationally traveled and educated winemakers carrying on the traditions of winemaking. Their dedication has helped wines from Austria make a leap in quality that has led to worldwide recognition. Austria has an array of grape varieties – 35, in fact – officially approved for wine production. While many Americans may not be aware of Grüner Veltliner (GROO-ner FELT-lih-ner), it’s the most common white grape in Austria, where it covers one-third of the country’s vineyards. There, wine lovers appreciate its light and refreshing flavors of citrus, stone fruit and flowers and a distinctive white pepper profile. While most Grüner is enjoyed in its youth, some selections from key areas east of Vienna—Wachau, Kremstal and Kamptal—are more complex, offering mineral notes and the ability to age and develop additional complexity in the bottle. With a long history in Austria, Grüner Veltliner’s popularity has surged around the world in recent years, and the grape has gained international acclaim, winning many blind tastings. This wine is very food-friendly, and can be a perfect pre-dinner sipper served alone. A popular red varietal, Blauer Zweigelt [blouwr TSVYE-gelt], is velvety and light-bodied with characteristic cherry tones and soft tannins. A fresh and fruity wine, it shares similarities with the wines of Beaujolais and is a great everyday red to keep around the house. 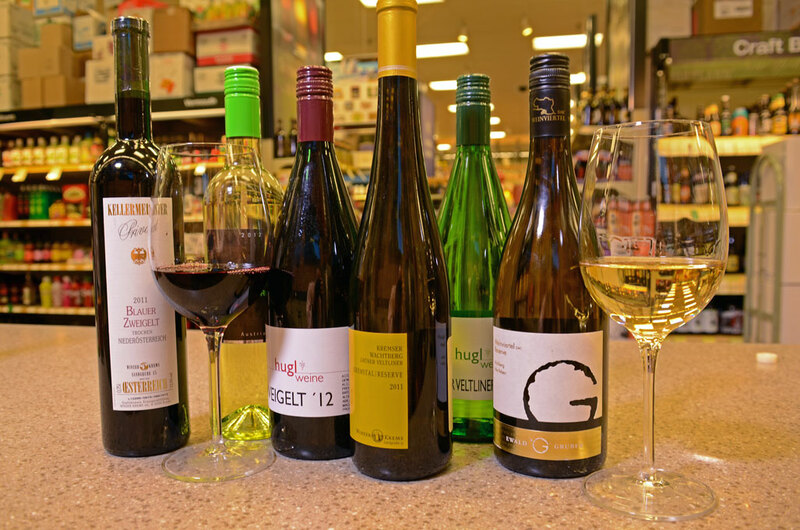 Austrian wines offer the perfect accompaniment to an array of dishes and food styles, from classic European to Mediterranean, even pan-Asian and fusion cuisine. This is due to their perfumed and elegant style; the result of ideal grape-growing climate and state-of-the-art winemaking technique. 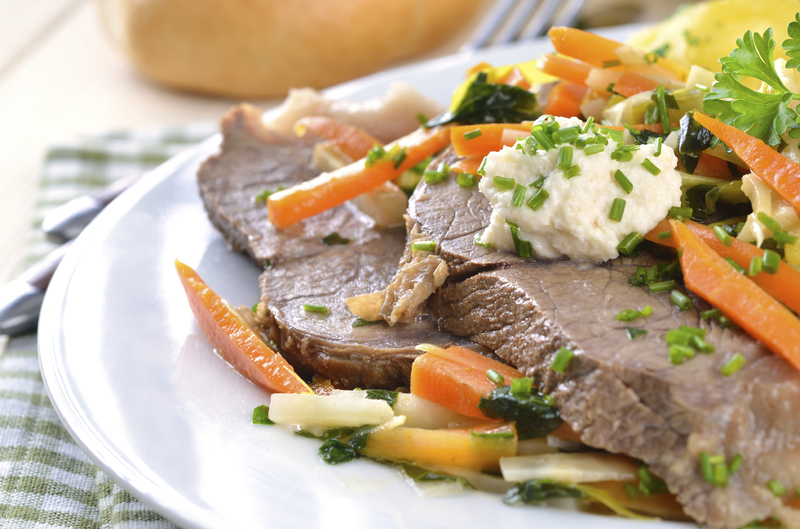 A quintessential Austrian dish to feature with your Grüner Veltliner and Blauer Zweigelt is Tafelspitz, or boiled beef. It’s the national dish of Austria and a holiday-time classic. 1. Char onion on cut side over open flame or by placing cut-side down in cast-iron skillet over high heat. Place in 16-quart stockpot with carrots, parsnip, celery root, celery, leek and beef bones. Add 8 quarts cold water. Bring to boil, and cook 10 minutes, skimming constantly. Add beef, allow to boil 5 minutes and skim. 2. Reduce heat to simmer, and cook, skimming from time to time, 1 hour. Add 1 tablespoon sea salt, peppercorns, bay leaves and garlic. Tie parsley and dill together, and add. Continue simmering 1 to 1 1/2 hours, until meat is very tender. 3. While meat is cooking, mix horseradish and apple with lemon juice, and set aside. 4. Remove meat from pot, and cover with foil. Line large sieve or colander with cheesecloth or linen napkin, and place over very large bowl. Pour in contents of pot. Do not press liquid from vegetables. Transfer strained broth to 6-quart saucepan. 5. Set carrots, parsnip, celery root and celery stalks aside. Discard everything else. Peel and dice carrots, parsnip and celery root. Dice celery stalks. Set aside. 6. Gently reheat broth. Add salt to taste. Serve some of the broth as a first course, with diced celery root, parsnip and celery stalks. Then serve meat. If it needs to be reheated, steam briefly over remaining broth. Slice meat 1/2-inch thick across grain. Place in soup plates, with diced carrots, moisten with hot broth, and top with apple-horseradish, sea salt and chives. Serve. Please visit www.austrianwine.com to learn more about Austrian wine and for more delicious recipes. I recently went to an Austrian wine pairing dinner and just loved the wines! Surprising and wonderful, and blogged about it too! Thank you for featuring these wines on your blog! Our pleasure, thanks for reading! 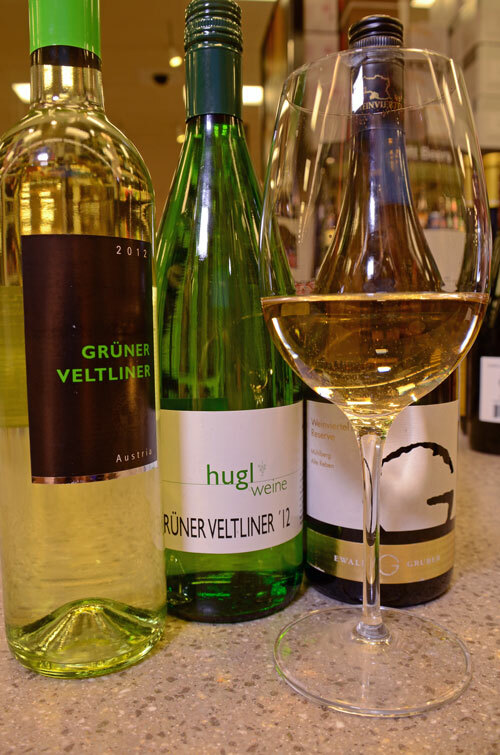 I recently tried the Hugle Gruner Veltliner. More recently I bought another bottle because the first one was so good. Nice table white, slightly sweet. I really liked it. It’s one of our favorites too. Winzer Krems makes some beautiful examples also.